Why, God? Our Questions, Job's Questions. Free Study! So many things in life bring questions. We watch the news and wonder why something so awful has happened. We hear a report from about a family member and are baffled as to why God has allowed this. Life and the question "Why?" seem all too natural companions. In a recent blog post we introduced our new series of resources called Into Maturity and made available the first four Bible studies in that series. We call these studies Our Questions and they focus in on the questions we often have in life. Our approach is to talk about those questions in the context of the book of Job. Today's blog will tell you a little bit about the first of these studies. You can download it here. This study begins by asking for a discussion about the questions that we all have in life. We might ask why God allowed something to happen in our world. We might wonder why it seems to us that God has not answered one of our prayers. We may feel that from our perspective something does not seem fair and question why it is that way. This study then takes us into the first three chapters of the book of Job. By engaging the Scriptures, we are introduced to the righteous man Job and his way of life. We then find ourselves listening to a conversation between God and Satan regarding Job where Satan suggests that Job will deny God if certain blessings are removed from. Next, we watch as those blessings are removed. While Job remains remarkably faithful in the face of the tragedies he endures, that does not mean that he does not have his own set of questions. Our study ends by noting that Job's questions are much like our questions, centering in on the question, "Why?" The next study will pick up right where this one left off. All of our resources are formatted to be easy to download and print. In particular, with these studies you will note that they are designed as leader's guides, meaning the answer to every question is given after the question. Our intention is that whoever is leading this would print out their copy and lead the people through the questions. Having children or others in the home read the portions of Scripture from Job would be great. We hope that you will look at these studies and see if they might help you to further train up your children in the home and to strengthen your own faith and understanding of the love that God has for us in Christ Jesus. Any suggestions on how these resources could be more helpful are welcomed and can be left in the comments section of the blog. We also truly appreciate when you share one of our blogs to help us get these free resources into more people's hands. "Texas Church Killings: What We Know and Don’t Know" reads the headline on a popular news website. In the wake of another senseless act of violence, people want to know why in the hope that such violence can be thwarted in the future. Well, here are two things we do know. The reports are clear that this shooter like many of these killers isolated himself from other people. Secondly, we know that violence is the result of evil in the world. We have two resources that can help you talk about such issues in your home. First is a warning to all about the danger of isolation. Click here for that resource. Second is a piece that exposes the connection between evil, violence, and death. Click here for that resource. Both are PDF files formatted to be printed on normal 8 1/2 by 11 paper. Please feel free to share this post to help others as well. As we mentioned in a former blog, we at LivingPlanted.com believe all teaching of the faith in the home is good and laudable. God will use even the most spontaneous teaching moments. And yet, we should not allow that truth to justify taking a haphazard approach to the calling to train up our children. That is why we are happy to introduce the first set of resources in our Into Maturity series called “Our Questions.” It is a four session Bible Study looking at the book of Job. It examines the fact that much of life leaves us with questions and yet encourages us to trust God alone for answers rather than simply allowing our reason and speculation to run wild. We sit with Job and admittedly resonate with his questions and then are rebuked with him as God reminds us of his power, might, and love towards his creation. We are uploading all four sessions right away so you can work through them at your pace in your setting. We will also be weekly posting a brief summary of each session to take you through the resource part by part. If you are using these resources, we would appreciate you leaving feedback on our Facebook page or in the comments section below. Also, we really rely on you to help us spread the word about these resources. Please share our links and talk about them with others seeking to live The Christian Life at Home. Download the new resources by clicking below or by clicking on "Our Questions" at our resource page. As always our resources are in pdf format to make it easy to use them. These resources are prepared as leader's guides with answers to the questions provided. Just click and print on normal printer paper. 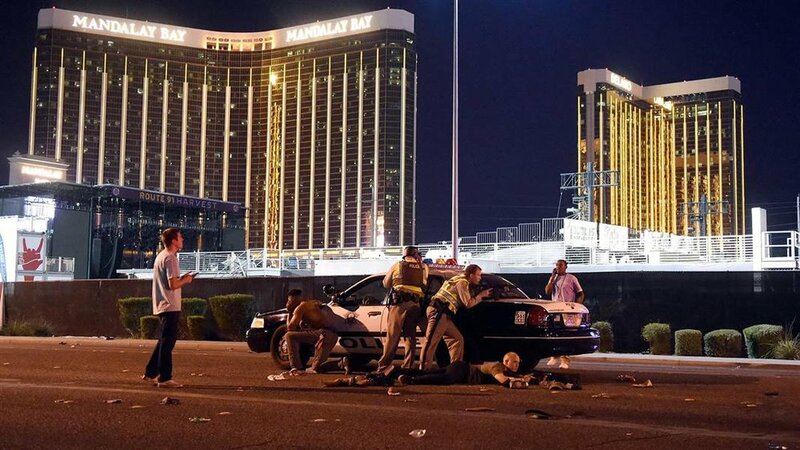 The Vegas Shooting - Talk about it in your home. Free PDF resource to help. You woke up to terrible news. Maybe your children did also. How do you talk in your home about something so horrific? Well, start with the basics. While those who have actual authority in the situation do their investigations and while the political pundits seek to spin the news one way or another, teach your children about good and evil. Teach them that what we saw today is evil's true face. Teach them that Jesus came to conquer such evil through His cross and resurrection. Teach them to rely on Him when evil abounds. Bring the Good News of Jesus into the story we heard on the news. We at LivingPlanted.com have developed a one-page PDF resource to help you have those conversations in your home. Click here to be taken directly to the PDF entitled "The Face of Evil" or click here to see all of the one-page PDF resources we have available to help you talk about the news of the day in light of the Good News of Jesus. Into Maturity is coming - Subscribe now! Resources to thoughtfully train your child in the faith. Truth be told, a lot of life happens without much thought. Things happen and we respond. But when we have time to reflect, we must admit usually those random responses are not helpful in achieving goals that we might have in life. No one ever builds a barn through random responses. No one becomes a doctor through random responses. And no one trains up their child in the faith well through random responses. Certainly, there is value to what is learned as children watch their parents respond to life as it comes at them. But to believe that this alone will well prepare their child to live as a child of God right in the midst of a world so well-aligned against the truth of God would be foolish. We at LivingPlanted.com believe a thoughtful approach to Christian life at home is the best way to prepare our children to live that same life both inside of the homes they will lead one day and out in the world as well. This belief is based on God's insistence that letting His word dwell richly within us is critical to how the Spirit sustains us in the faith. We also know that finding time to be thoughtful about these things can be challenging. We hope to serve you by producing resources thoughtfully crafted to help you in your work of training up your children. We believe that daily devotions are the most important thing you can do with your children in your home. If you have not been doing this, please check out our core resource which will help you get started right away. Families should read together, pray together, memorize together, and sing together each day. But we also believe that training up children must go beyond the things we suggest in that resource. We are currently in the process of working on some resources that will help you do just that in a thoughtful way. We are working on resources we call “Into Maturity.” These are resources meant to help engage your child with the Word in a way that prepares them for real life interaction with the world they are and will be experiencing. 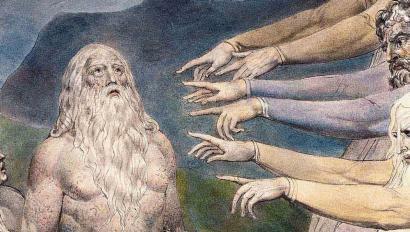 A resource on the book of Job will help us think about how we deal with the questions we and others have about life in this world. A resource that is filled with the Scriptures will help us be reminded of God's truth, His answers, to the challenges the devil, the world, and the flesh constantly throw at us Christians. A resource looking at particular words from the Scriptures will remind us to speak about those words in the ways the Spirit does in his Word. Our first resource based on the book of Job will be ready for you in the next two weeks. The best way to make sure you do not miss it is to subscribe to this blog or like our Facebook page. If you are using any of our resources, we would love to hear any feedback you might have. May God bless you as you live out the Christian Life At Home. As we wrote in a former blog post, we at Living Planted believe that singing together as a family is an important part of gathering the family around God and His Word each day. Singing helps place God's eternal truth into our minds and hearts like almost nothing else can do. However, we understand that the thought of singing in a small group can be rather daunting for some people. And so, we decided to try to go back and make sure the hymns we suggested using both match the theme for the day and yet also were the most singable tunes we could find. We are proud to announce that a new version of our core resource is now on the website with an updated hymn selection. Obviously, if the first version is working fine for your family, you can continue to use it. But if you are starting new, we would encourage using this new version of this resource. Also, we want to make clear, that we understand what one family or small group might find singable differs from another. We have found this to be true even as we discuss our recommendations among ourselves. So, if there is a hymn that your family simply does not seem to be able to sing, choose another one you might already know that goes with the theme. If you can not think of one, simply choose any hymn and continue to sing. We believe that it is better to sing something even if it does not go with the theme for the day then to simply skip what God calls us to do by singing. Again, we believe that the Scriptures are full of evidence that God intends for His people to always be singing about Him, His ways, and His Son Jesus. We would love it also if you would share this blog post to make more people aware of this free resource that they can use in their homes. Also, keep an eye on our site and blog. While there has not been a lot of activity recently, have no doubt we are working on more resources to help you live the Christian Life at home. What Christians do with Outrage? (in light of Orlando) Talk about it at home. The story has been everywhere and rightfully so. A Muslim man enters a nightclub frequently mostly by those who identify themselves as LBGT and opens fire. The reports say that at least part of the motive was his outrage over homosexual affection he had seen around him in public. No one knows whether this outrage found Islamic extremism or whether Islamic extremism found this outrage. Regardless the two came together and this man chose mass violence to manifest his outrage and ideology. Some are suggesting that this is just the natural outcome of anyone who is "extreme" about their religion. Those who will not give up any of their beliefs are being painted as hateful people just waiting to explode. But this simply is not true. Especially for those in Christ. It is true. All of us get outraged at times. We see someone else do something that is particularly repugnant in our eyes. Our pulse rises, our blood pressure rises, and we want to act. Sometime our rage is directed at something that is evil. Other times we get so upset just because we selflessly want something to be different than it is. But what do we do with that anger? Well, regardless of the inspiration for it, we are to take that anger to the one true God, the Triune God. Our latest resource at Living Planted expands on this thought. There are all sorts of issues worthy of discussion that have been touched by the news this weekend. We hope to help you at least begin those conversations with this resource. This is one of our Good News resources that tries to help you take events from the new into your home in a way that fosters godly conversations. Check out all of the Good New resources at this page. You can also like us on Facebook. Especially in the center of our country, the storms just keep coming. And these types of storms are very good at capturing everyone's attention. The loud thunder, the bolts of electrically charged light, and the poundings of various sorts of precipitation demand to be heard and seen. But when they have our attention, what are we to think about? Should our thoughts extend only as high as the clouds or beyond? Is the weather a force largely under God's control? Is there a Mother Nature that controls all of these things? Is it all just the result of a bunch of complex variables that one day the scientists will finally understand? The Scriptures would suggest that God is no doubt at work when weather captures our attention. He uses it to his ends, namely calling all to repentance and faith. Help your family understand this oft forgotten truth with Living Planted's newest Good News Resource on God's use of such events for our eternal good. Each Good news resource in available to download as a single page pdf file. Download it and print it out and you are ready to discuss this truth with those living in your home. Check out our other resources as well. And don't forget to like us on Facebook. The nation is mourning the loss of Nancy Reagan. And while she is remembered for many things, many have noted that she always made clear that her first responsibility was to care for Ronald (or "Ronnie" as she called him) as his wife. And at least in public, it always seemed like that responsibility to her was a grand privilege. She famously gazed lovingly time and time again at her husband. And when one thinks of him and her together, you can't help but rejoice in the gift of marriage itself. They were unquestionably each better in their own lives because they had each other. Oh their marriage was not perfect behind closed doors I am sure and President Reagan had a failed marriage before that one, but that should not stop us from lauding marriage appropriately today. As we mourn the loss of Nancy, let us also meditate upon the beauty of marriage. Let us see her gaze and gaze upwards ourselves to the One who has given marriage itself to humanity as a great gift. All of us have had bad experiences related to marriage whether as children, spouses, or onlookers. Our world would like us to believe that marriage is a relic to be filed away in the past. Today then is a great day to reflect with your family on what a treasure marriage truly is when God is given charge of it. Use our NEW one page resource on the beauty of marriage to talk about this in your home. It will only take a few minutes and may have great impact on all those living in your home. Check out all of our resources at LivingPlanted.com and like us on Facebook. Wisdom Revealed is our resource that seeks to bring the wisdom contained in the book of Proverbs into open discussion in the home. All wisdom begins with the fear of the Lord, faith in His saving work through Christ. But the wisdom God offers to His people does not end there. It always returns there, but never ends there. Each volume of Wisdom Revealed contains three proverbs, each followed by a brief discussion of the wisdom contained in it. After reading one or all three of these proverbs and their explanations, simply engage in discussion about how this wisdom is seen in life and can be further lived out in life. Confess to one another how each member of the family has failed often to live according to the wisdom given. Return to Christ for forgiveness.